Vitality757.com - Vitality Functional Medicine Virginia Beach Vitality Functional Medicine - Elevating Energy & Life! Are You Frustrated with the State of Your Health? Do you have low energy? Do you ache all over? Are you unable to sleep? Vitality! Functional Medicine is proud to provide personalized, cutting-edge, natural wellness services specific to your needs. We focus is on what matters most to you: your overall health, wellness and vitality, inside and out. who will help you get to the ROOT of your symptoms through a holistic and natural approach. We offer an exclusive integration of Eastern/Western natural medicine and self-treatment tools designed to return the body’s structure, physiology and energy systems to balance and harmony. Join us for our informational low cost classes and events. 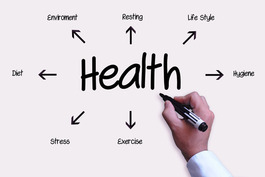 ​Putting YOU in charge of YOUR health! Simply the most cutting edge in health care, Functional Medicine is a personalized, systems-oriented model that empowers patients to achieve the highest expression of health by addressing the underlying causes of disease.